This latest duo set of cordless phones from BT comes with an integrated digital answering machine with up to 20 minutes recording time, 2 handsets with large easy to read displays, and a range of up to 50 metres indoors and 300 metres outdoors. 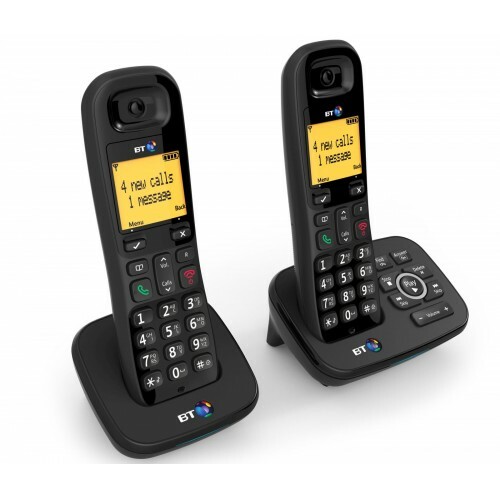 Offering reliability and great sound, the BT 1600 Twin is an excellent set of new cordless phone for the home. Working straight out the box, the BT 1600 Twin boasts a step-by-step on screen guide that will take you through setting the date and time, and additional features. As soon as it has been plugged into your telephone line and power source your phones will be ready to make and receive calls. 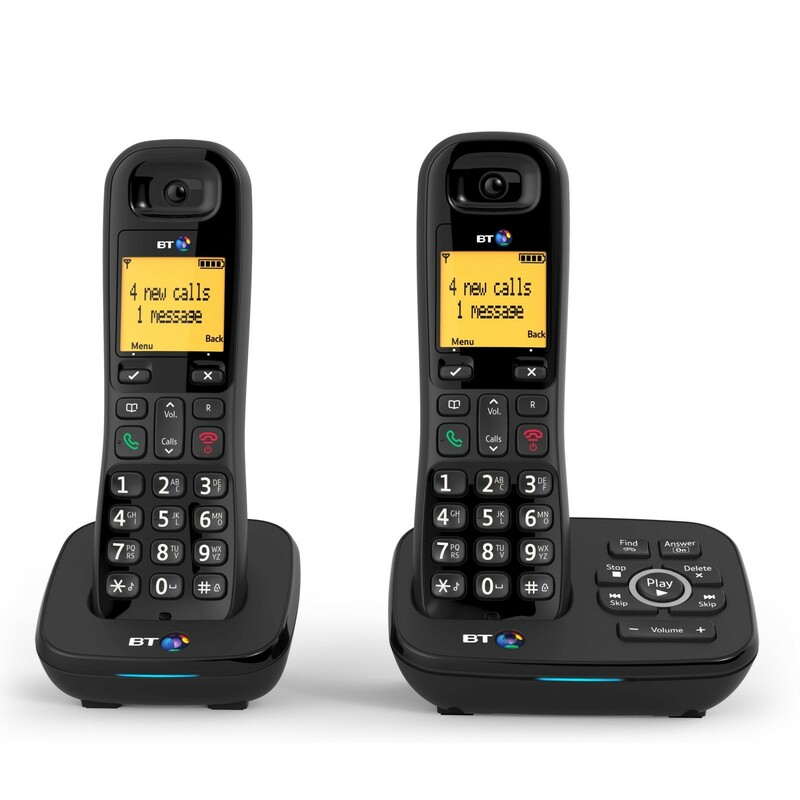 Equipped with all the standard DECT features you would expect on an entry-level home phone, the BT 1600 enables you to store the names and numbers of up to 50 of your most important contacts, which you can share between handsets. It is Caller ID enabled and will store details of your 50 most recent calls, and 20-number redial list. 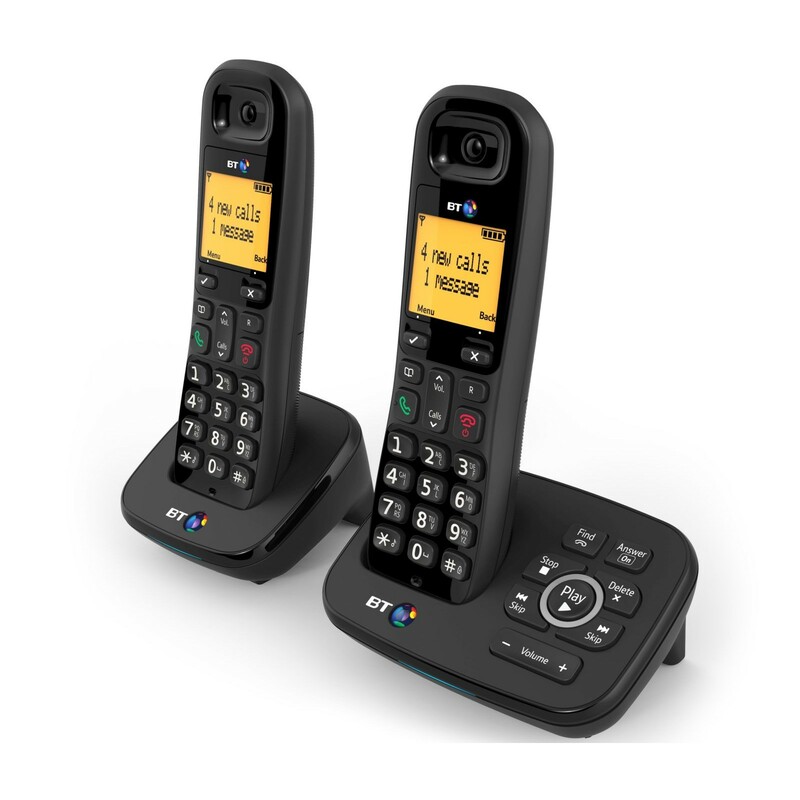 And with more than one handset you can also use the BT1600 to transfer calls, intercom, and for 3-way conversations. The answering machine is easy to set-up and use with two options – Answer Only or Answer & Record. You can personalise the greeting by recording your own message or use the pre-recorded one if you prefer. The answer delay can be adjusted easily to suit your needs with a maximum number of 9 rings possible before the call will be picked up by the machine. Additional features on the BT1600 answering machine include Call Screening, and remote access. If you’re looking for a reliable twin set of cordless phones with answering machine, the BT1600 is an excellent choice offering great sound quality, range, and ease-of-use.